Thursday 3rd October saw the return of Digital in Kent to Folkestone. Following the success of the inaugural event back in April, this second conference took the theme “results and opportunities” and featured an expert line-up of keynote speakers including our own non-executive chairman, Tim Arnold. 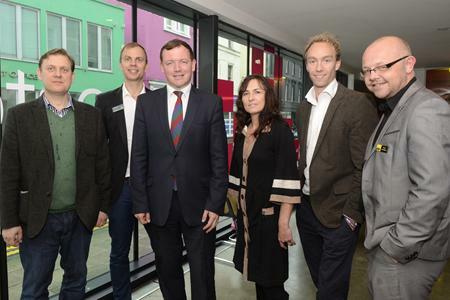 “It’s an exciting and dynamic time right now for digital and creative industries in East Kent”, according to local MP, Damian Collins who spoke to the audience at the event. Digital in Kent brings together local businesses who are embracing digital marketing and it is very cool for Sleeping Giant Media to be a part of this. I attended the event to learn more about the practical applications of digital and to be able to report back to you guys. So here’s my follow up to the Digital in Kent conference. Having been sufficiently fuelled up with caffeine, the delegates were ushered into the main auditorium of The Quarterhouse ready for a busy morning of learning. After welcomes from both Morag Welham of the KM Group and Jonnie Jensen, Chairman of Digital in Kent and founder of Live+Social, Tim Arnold took to the stage. Tim has a wealth of experience in marketing and tells me that he was nearly famous once! His talk was all about the role of digital in today’s business, and how digital puts all brands onto a level playing field because every sale starts with a search, and, to Google, everyone is equal. Tim talked about sales and marketing being different entities, and that products are people but brands are friends. He even brought some props with him to help tell the story! Tim’s talk was really engaging and he had the audience laughing at numerous points throughout. One of the takeaway quotations was “marketing means growth and digital makes it easier for you”. Following Tim, was Martin Smith, Head of Marketing at Neolane, which has recently been acquired by Adobe. His talk focused on, what he called, the three main disruptors of cross-channel marketing: social media, mobile devices and big data. Martin stated that to succeed in digital marketing you need the “power of three”, which are to know your customer, respect the customer experience and to be more accountable. Next up were the break-out sessions. Attendees were invited to choose between five workshops that were hosted by experts in their field, including Luke who hosted his session called “SEO Live”, where he performed a live SEO audit of one of the delegate’s own website. Once we returned to the auditorium we were honoured to have advertising guru Leonard Weinreich speak about creativity in advertising. He passed on many words of wisdom including that “all ads are spam” unless they are relevant to the customer and that “if you can’t say it on a poster, you can’t say it on any other medium”. Leonard proceeded to show us some less than inspiring banner advertising that he’d come across recently. He reminded us that digital is just the tool, we mustn’t forget the craft. The afternoon session was kicked off by the aforementioned Damian Collins MP, who used to work in advertising before becoming a full time politician. The rest of the afternoon was filled with the Speed Sessions, which saw Jonnie Jensen, Steve Hamilton of the KM Group, Luke and Josh Whiten of Webscape Marketing step up to the lectern to deliver a 10 minute presentation on just one small aspect of digital marketing. Luke talked about using geo targeting to get local business. Choosing to only show your PPC ads to people in a particular geographic location means that you can bid on much broader terms than you would normally be able to, for example, if you own a restaurant in Folkestone you wouldn’t normally want to bid on broad terms such as ‘restaurant’ as your ads could be visible to any user in any location using the search term ‘restaurant’. If, however, that user was in Folkestone, or say within a 25 mile radius, you might want to use that broad term because it’s much more likely that your ad would be relevant to that person. The next speaker was Sian Holt, the managing director of Fudge Kitchen. Her talk was her real-life perspective on how a bricks and mortar store has come to embrace digital in order to grow their business. She also brought along some samples of their delicious whipping cream fudge, for which I will be eternally grateful! The last talk of the day was by Bill MacLachlan, whose company Red Ant specialise in creating mobile specific websites and apps. He highlighted the importance of mobile and the potential that this platform will have in the near future, including mobile POS and geo tagging within apps so that app users receive relevant offers and information when they are in a particular location in store. Some statistics that he mentioned include 87% of mobile users search for local information on their phones and 76% of mobile users then go on to make a purchase or contact the business. All in all it was a pretty inspiring day. Not all the information was new to me, however it was great to meet with business people who are interested in utilising digital, and it was clear that we’re working in a constantly evolving space, which is at the forefront of modern business and subsequently very exciting. What was your favourite part of the day? 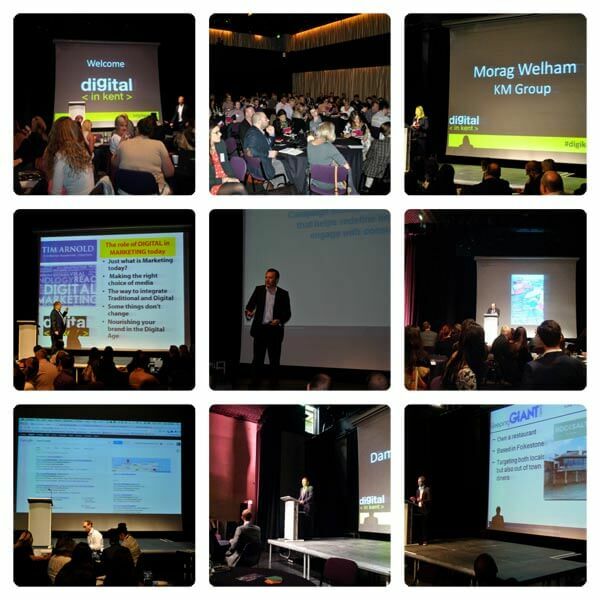 If you weren’t able to make it this time, will you be coming to the next Digital in Kent conference in April 2014? This is a terrific blog, could you be interested in doing an interview about how you developed it? If so e-mail me!